Shadow of the Demon Lord Kickstarter has LAUNCHED! 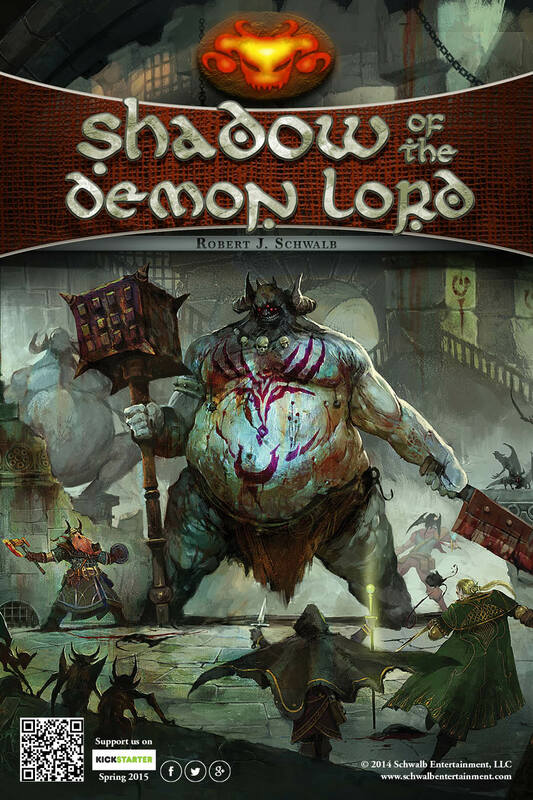 ‘Shadow of the Demon Lord’ is a horror/fantasy RPG that takes place in a world standing on the brink of the apocalypse. What is the cause? Who is responsible? The Demon Lord, of course! This being of staggering power and boundless evil authors the catastrophes blighting the landscape. Each new horror released reflects the Demon Lord’s approach, the touch of its shadow, and its growing hunger for not only the planet but the entirety of all things. Although near, the Demon Lord remains outside the cosmos, rattling the cage of its prison as it strains to escape the Void to visit catastrophic destruction to your world.